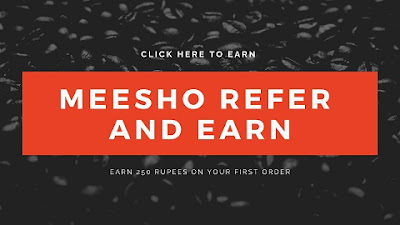 MedRecordz App Refer and Earn:- MedRecordz app is here with the Refer and Earn Scheme to provide Amazon Gift Voucher and Paytm Cash app for Successful Referrals to your Friends. Just Refer your Friends to MedRecordz app and get 10 points from every friend whom you'll refer to this app. Apart from the Referral scheme, "MedRecordz" has also introduced the Lucky Draw option to win iPhone X or Trip to Dubai as they proclaimed on their app. MedRecordz App:- MediRecordz is Universal Private Limited Company which is maintained by IITs and IIms alumni. Having the experience of nearly 40 years of keeping the Records of Individual medical status reports. By enabling individuals records, they provide the facilities of diagnostic centers to their patients through Web Portal or Mobile applications. As of now they have come up with Refer and Earn option to Get Free Amazon Gift Voucher by Referring your Friends to MedRecordz. How To Refer and Earn on MedRecordz App? First of all, Download the MedRecordz app from here Download. Open the app and Register yourself using your Mobile Number. You'll get the Unique Generated Password on your Number. Now use that Password and Your Registered number to Login your Dashboard. That's it now you are ready to enter Refer and Earn on MedRecordz app. After login to your Dashboard. Tap on the three dots, i.e., on Upper right corner. Now Click on Click here option and Copy your Unique Referral Link. Share your Unique Referral Link with your Friends and Get 10 Points to every Successful Referral. You can Redeem these points to get Amazon Gift Voucher. Every 100 points above 500 points will be redeemable for Rs 150 Amazon gift voucher. 2. 2nd Prize Dubai trip.